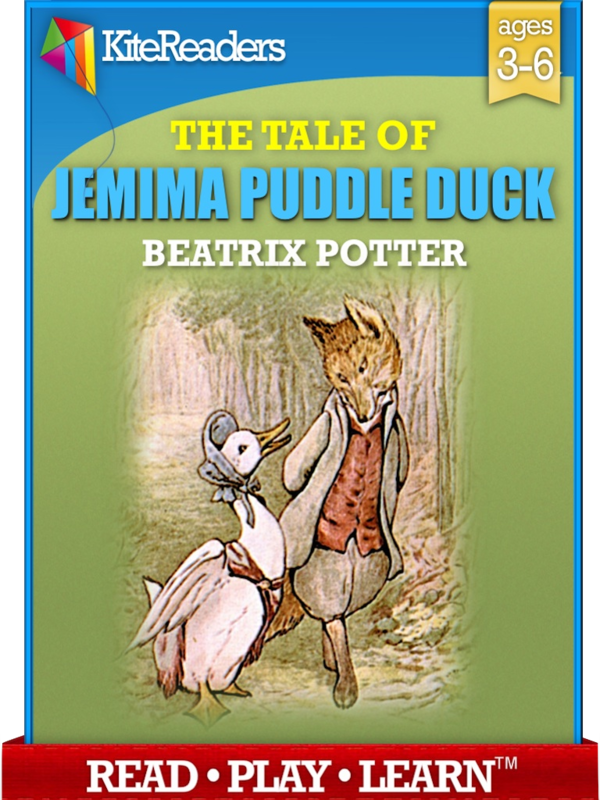 KiteReaders bring to new life Beatrix Potter’s classic picture book in this enhanced eBook version, that renders the illustrations & text in the fixed layout format preserving the original book design and layout . Poor Jemima. All she wants to do is lay her eggs in peace, and be allowed to hatch them herself. At last she flies off and finds the perfect place. Little does the silly duck realize that the charming gentleman who has lent her his woodshed is busily planning a delicious meal of . . . roast duck! 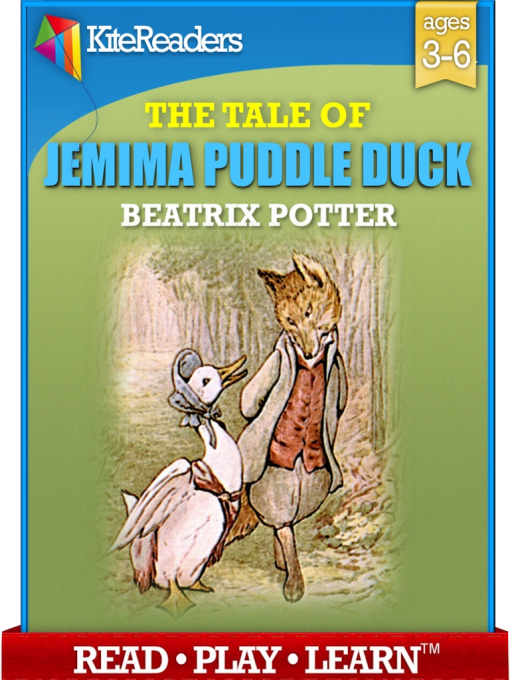 Jemima was a real duck belonging to Beatrix Potter, who lived at her farm, Hill Top. 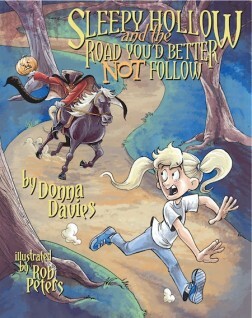 The story also features Beatrix’s own sheepdog, Kep, who thankfully manages to save Jemima from a nasty fate!